Summer is just around the corner! Be sure to grab your next summer read from Mascot. Our new releases for this month include a steamy business biography, a financial guide, and cute children’s selections to kickstart your student’s summer reading. Check them out! 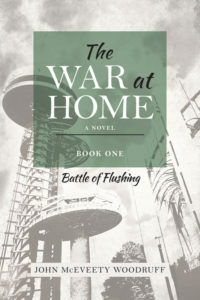 Fiction The War at Home (vol. 1) By John McEveety Woodruff In Vietnam War era Flushing, Queens the enigmatic Prescott family faces personal struggles in the perilous minefields that is their lives. Filled with blatant alcoholism, a coming of age story, and a messy but supportive family, Woodruff’s The War at Home series reminds us all what family is intended to be. 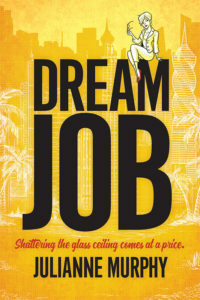 Memoirs & Biographies Dream Job: Shattering the Glass Ceiling Comes at a Price By JuliAnne Murphy The job offer was perfect: tropical location, international travel, vibrant lifestyle, the chance to make a real difference. In fact, JuliAnne just knew this high-powered international dream job in an exotic paradise was exactly what her executive career – and marriage – needed. So, she and her husband packed their bags and headed off for a Panama Expat adventure. But the dream quickly becomes a nightmare. Her new boss is unbearable and any hope for the rewarding, relaxed lifestyle she’d envisioned is eclipsed by drama, sexism and conflict. JuliAnne soon finds herself surrounded by untrustworthy people, battling a job that takes everything she has, and facing a marriage that begins to unravel. What she’d hoped would be a happy, two-year adventure becomes a tumultuous journey lasting more than eight years, and challenging her on every level. The true story of Dream Job is a deeply personal business memoir of crashing, burning and letting go. It’s one woman’s tale of rising amidst the impossible, like a phoenix. But more importantly, this is a book about love: self-love and love that is unconditional. Dogging it Through Divorce and Beyond By Jonathan Wagner This book of self-discovery is about much more than a failed marriage. Author Jonathan Wagner shares his journey of moving on and discovering the divine presence in the world with the help of his dogs. A testament that dogs are truly man’s best friend, Dogging It Through Divorce and Beyond is a wonderful exploration of why dogs mean so much to us. 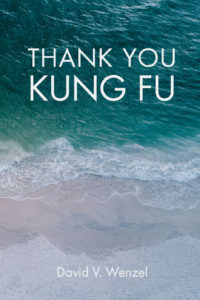 Thank You Kung Fu By David V. Wenzel Learning you’ve got an inoperable brain tumor that gives you 5-7 years to live? That’s a hard pill to swallow. Unfortunately, for David, that’s the reality. Sometimes, however, hitting rock bottom is the only way to climb higher. 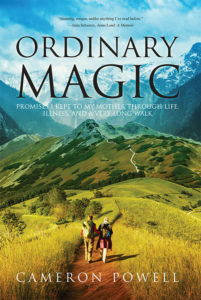 Ordinary Magic By Cameron Powell A terrifying diagnosis. An unbreakable bond. And one unforgettable journey. Cameron Powell has always struggled with goodbyes. On the day his marriage ends, he finds out his mother’s cancer has returned—and this time there may be no escape. Faced with the prospect of more chemo and surgery, his German-born mother, Inge, vows to conquer a 500-mile trek across Spain, and Cameron pushes aside his fears to walk by her side. Joined by a misfit band of adventurers—a politically incorrect Spaniard, a theatrical Frenchwoman, a teenager who’s never been far from home—Cameron and Inge write a fierce and funny travelogue about the rocky heights and hidden valleys of the Camino de Santiago. But the hardest stretch comes three years later, when Inge’s health declines—and Cameron, ready or not, must accept the challenge to remain as present to his mother as he can. As their journey shrinks to the room around a hospice bed, Cameron begins to record, in their blog, his real-time impressions of life’s most difficult voyage. The result is one of literature’s “epic love letters” (Julia Scheeres, Jesus Land). Propelled by the searing immediacy of his own fear and sadness, this deeply-felt memoir opens up new insight into what it means to be a man, and takes us—with wisdom, humor, and an overflowing tenderness—into one of the most challenging journeys true friends can ever take. If you like candid mother-son relationships, humorous tales from the trail, and in-the-moment insights on living a life of purpose, then you’ll love this luminous, inspirational true story about pilgrimage, presence, and letting go. 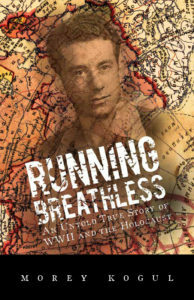 Running Breathless By Morey Kogul The Holocaust’s reputation as one of the most terrible periods of modern history stands, even almost 80 years later. As such, we can never forget the struggle of the men, women, and children who had to live through it. Morey Kogul’s honest retelling of his father’s personal experience in the Holocaust is gut wrenching, brutal, and cathartic. Running Breathless will keep you on the edge of your seat with personal tales in the fight against tyranny. 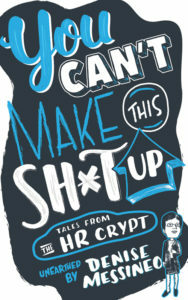 You Can’t Make This Sh*t Up: Tales from the HR Crypt By Denise Messineo Inebriated Cover-Up. Revenge Bedlam. Lewd Felon. Vomit Comet. These sound like stories from your last night out—not ones that took place during your regular 9 to 5. Most jobs entail attending meetings, hitting deadlines, and collaborating with coworkers. If all goes well, you’ll forget the HR department even exists. But what happens when the sales team gets drunk at lunch and destroys property? Or when two employees are caught sexting through company messages? After four decades as an HR executive in corporate America, Denise Messineo has seen it all. She’s mediated conflicts, terminated employments, and bailed people out of jail. In this book, she’s collected her most off-the-wall tales to share. Though she’s changed names and companies to protect the guilty, everything in this collection is real. After all, you can’t make this sh*t up! Self-Help WOWsdom! 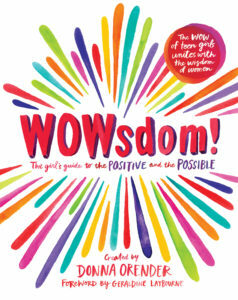 Created by Donna Orender What happens when the WOW of girls meets the WISDOM of women? Donna Orender and her team at Generation WOW believe that when we live together and learn together, we will lead together. WOWsdom! The Girl’s Guide to the Positive and the Possible is jam-packed with letters, activities, and no-nonsense advice that celebrates the connection of the WOW of girls and the WISDOM of women. In their letters to themselves, women, men, and girls from all walks of life—artists, athletes, actors, business leaders, entrepreneurs, students, doctors, scientists, and humanitarians—share their hard-earned wisdom for girls who are seeking guidance and inspiration as they begin their personal and professional journeys. Creating a world where the leaders of today help shape and inspire the leaders of tomorrow is what WOWsdom! is all about. 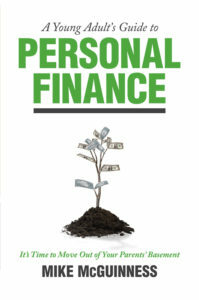 Young Adult’s Guide to Personal Finance (It’s Time to Move Out of Your Parents’ Basement) By Mike McGuinness In this book that is aimed towards young adults, you will be presented with a multitude of tools to help you understand the ins and outs of finance. This informative book discussed financial topics that young adults will face on a daily basis, and provide them with an understanding to make them feel competent. A primary topic is understanding how the choices made today impact the future, and this book gives insight into bettering those choices. 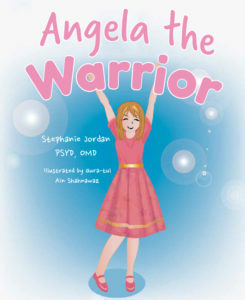 Children’s Angela the Warrior By Stephanie Jordan, PSYD, OMD Everyone gets sad sometimes and Angela is no different. Join Angela as she figures out how to go from “worrier” to “Warrior” with a little help from some friends. 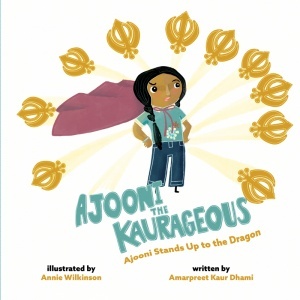 Ajooni the Kaurageous: Ajooni Stands Up to the Dragon By Amarpreet Kaur Dhami Even the bravest girls in the neighborhood get scared sometimes. Ajooni doesn’t get scared by ANYTHING—unless it’s the dragon that just appeared in her neighborhood. But, with the help of her parents, Ajooni learns to face her fears and gain the confidence to be Kaurageous. 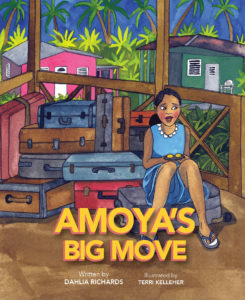 Amoya’s Big Move By Dahlia Richards Moving to a new city can be scary. Try moving to a new country! Amoya and her family are getting ready to say goodbye to everything and everyone they know in Jamaica to move to Chicago. But will Chicago have all the things Amoya loves about home? 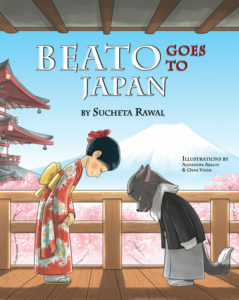 Beato Goes to Japan By Sucheta Rawal Join world traveler Beato as he journeys to Japan. This curious cat is excited to experience Japanese culture, including calligraphy, mochi, and sumo wrestling! Beato’s trip is sure to entertain young readers while showing them what they can learn a lot by experiencing other cultures. 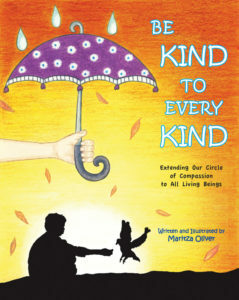 Be Kind to Every Kind By Maritza Oliver Everyone has basic human rights they are entitled to, but there are still many inequalities that exist in the world. This book introduces the concepts of social justice and equality in a way that children can understand. 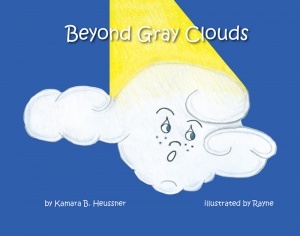 Beyond Gray Clouds By Kamara B. Heussner Puffy the cloud dreams of becoming a huge thundercloud. When his friend Ms. Clara stops coming out of her house, Puffy has to give up his dream to help her garden. Containing bible passages, this charming story shows the importance of having faith and helping others. 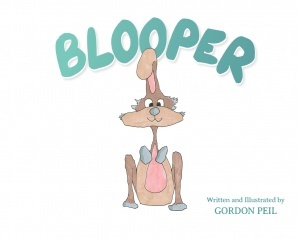 Blooper By Gordon Peil Blooper’s a little different. Unlike other bunnies who’ve got two ears, Blooper only has one! Join Blooper in this sweet story about learning your purpose, making friends, and celebrating your differences. 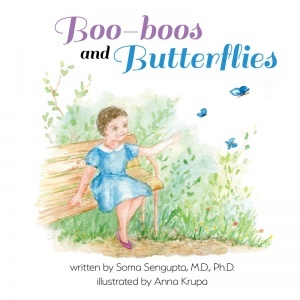 Boo-boos and Butterflies By Soma Sengupta, MD, Ph.D. Follow along with Amita as she learns about cancer and how people she knows deal with being sick. From Aunt Beth and her Butterflies to Bubbe’s boo-boo, Amita helps kids all over understand how tough cancer can be. 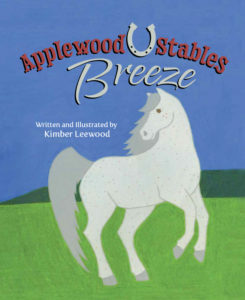 Breeze By Kimber Leewood Meet Breeze, a playful Arabian horse who lives at Applewood Stables. He loves his friends, but the pasture beyond the stables looks like a lot of fun too, so Breeze decides to go on an adventure. Join Breeze as he runs into some obstacles along the way and tries to find his way back home. 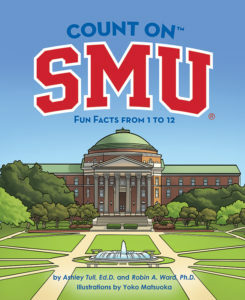 Count on SMU By Ashley Tull, Ed.D. and Robin A. Ward, Ph.D. Come to SMU® and count with me! You’ll learn things, too. 1, 2, 3! 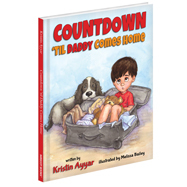 Countdown Til Daddy Comes Home By Kristin Ayyar Countdown ‘til Daddy Comes Home is the story of a young boy waiting for his daddy to come home from a trip. To make their separation easier, his family creates rituals to stay connected and make the countdown fly by. Inspired by her experiences, Kristin Ayyar shares how her family copes with the separations that are part of everyday life. The Fate of the Frog By Melissa Rooney, Ph.D. 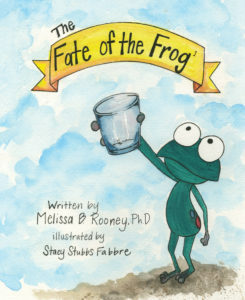 This Dr. Seuss-inspired tale by Melissa Rooney follows one frog’s plight to escape its evaporating birth puddle in a setting plagued by drought. Richly illustrated and written with lyrical mastery, this heartfelt story emphasizes the importance of water resources and is sure to capture the imaginations of children and adults, alike. 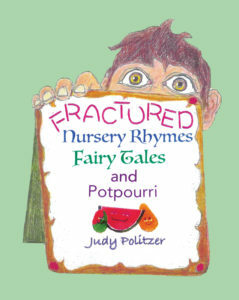 Fractured Nursery Rhymes By Judy Politzer Nursery rhymes and fairy tales are ALIVE and WELL! An alphabet book with new endings to treasured stories Did Humpty Dumpty survive his notorious fall from the wall? Why did Georgie Porgie kiss the girls? What was the secret of Mary’s garden? Did Little Bo Peep ever find her sheep? 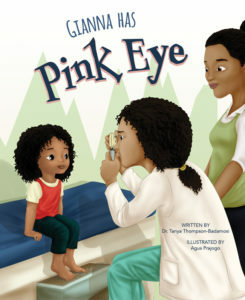 Find out in Fractured Nursery Rhymes, Fairy Tales, and Potpourri Gianna Has Pinkeye by Dr. Tanya Thompson-Badamosi Oh no! Gianna woke up with pink eye! When her mom takes her to the doctor, she learns how to make it better and what she has to do to keep the people around her from catching it. Pink eye is common, but it doesn’t have to spread if you listen to your doctor and protect your friends! 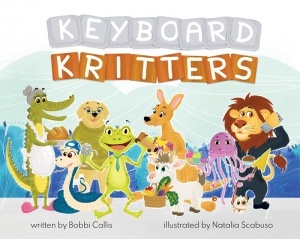 Keyboard Critters by Bobbi Callis Who knew learning how to type could be so much fun? Young students will love the amusing Keyboard Kritters and be encouraged to practice their typing skills. Written by an elementary teacher, Keyboard Kritters is an excellent educational read. 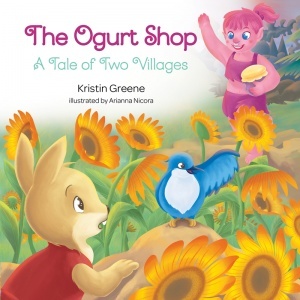 The Ogurt Shop: A Tale of Two Villages by Kristin Greene Join Calvin, the most curious of bunnies, as he ventures beyond his home of Beautopia, over Sunflower Hill, and to the forbidden land of Mudapolis where the icky, yucky ogres reside. With his best pal Benny the bluebird, they experience the journey of a lifetime as they uncover a surprising secret. But just how icky and yucky are these ogres? Adventure will be had and friendships made in this timeless life lesson of never judging a book by its cover. 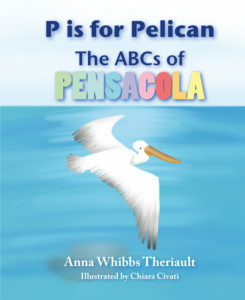 P is for Pelican by Anna Whibbs Theriault Go on a trip to Pensacola, Florida, with P is for Pelican: The ABcs of Pensacola. You’ll learn all about one of Florida’s beautiful coastal communities while learning your ABCs, too! From sand castles and dolphins to Five Flags Speedway, this books offers fun for young readers. 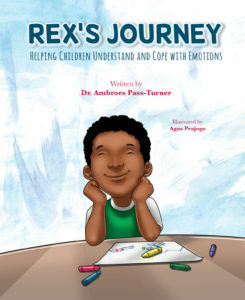 Rex’s Journey by Dr. Ambroes Pass-Turner Rex has been struggling with understanding why and how he feels. From angry one minute to sad the next, he just wants to be a kid. What’s so hard about that? But, we can’t always control how we feel. Especially not as kids. Follow along with Rex’s journey as he learns to cope with his emotions in a safe and healthy way, something we all can learn from. The Spill by Jacqueline Boeheim Faye asks her mom for a big cup of milk… now she just has to walk down the hall without spilling it! 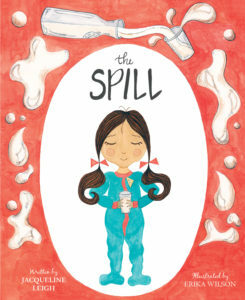 Entertaining from start to finish, The Spill is a funny and charming tale for children and their parents. 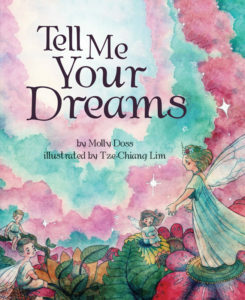 Tell Me Your Dreams by Molly Doss We all love to dream. Tell Me Your Dreams is the perfect bedtime story for children. The whimsical illustrations and charming descriptions of dreams will be sure to capture the hearts of children and their imaginations. 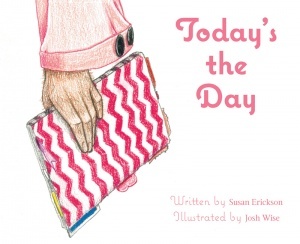 Today’s the Day by Susan Erickson Everyone in the barn is acting a little strange but Remy is still excited to start the day. What could all the other animals be busy doing? Follow along to find out what’s so exciting about Remy’s day. 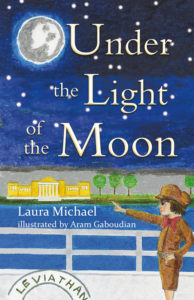 Under the Light of the Moon by Laura Michael After the Armenian Genocide ended, ten-year-old Lucine finds herself in an orphanage. There are thousands of other children like her, wondering when and if they’ll ever see their families again. Meanwhile in America, child actor Jackie Coogan is determined to help these children. Based on true events, Under the Light of the Moon brings attention to an overlooked event in world history and shows there is always hope in times of darkness. What if the Dogs Were in Charge? 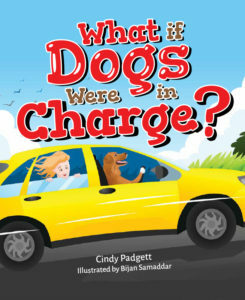 by Cindy Padgett Have you ever wondered what life is like from a dog’s point of view? How about if dogs were in charge of humans? Well, look no further! In this fun, silly book, you will follow the day-to- day life of Sasha and Jake, as they take their humans for walks, take them to the park, and even drive them around town. 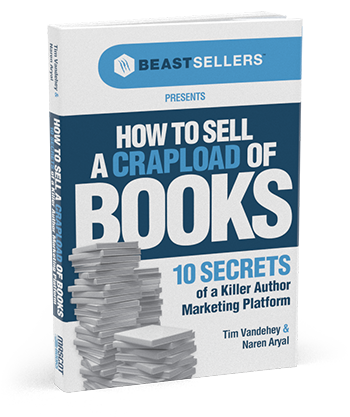 Sure to put you in a good mood, this entertaining book is a must for all audiences. Back By Popular Demand! 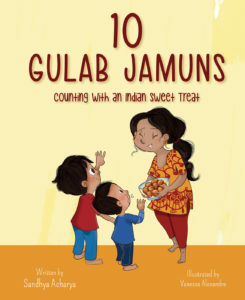 10 Gulab Jamuns: Counting with an Indian Sweet Treat by Sandhya Acharya Young brothers Idu (Ee-doo) and Adu (Aa-doo) can’t wait for dinner! They’re having guests over, and their Mamma has already made a feast that has their mouths watering. Now all Mamma has left to make are the Galub Jamun… But Idu and Adu don’t know what that is! From their first taste of the sweet treat, they can’t seem to get enough of the syrup-soaked dough, but Mamma has only made so many. Will the Galub Jamun even make it to their guests’ plates? This humorous and fun story includes a simple recipe to make your own Galub Jamun, and easy to follow lessons so you can make sure to count them along the way! 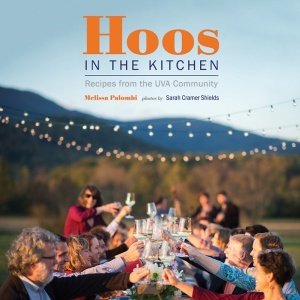 Hoos in the Kitchen by Melissa Palombi Featuring recipes from staff, alumni, and other members of the Wahoo community, Hoos in the Kitchen is a celebration of the pride, culture, and passion for food that the University of Virginia community shares. From mouthwatering Ribollita, to crispy, pan-fired soft shell crabs, to Mr. Jefferson’s drinking chocolate, each recipe shares not only a taste of Charlottesville but a glimpse of the people who are the soul of the community. 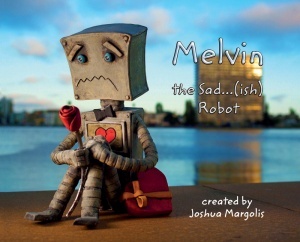 Melvin The Sad(ish) Robot By Joshua Margolis Melvin is known for being a sad…(ish) robot. But, as he finds new friends and experiences, he may just find out how to be happy…(ish). 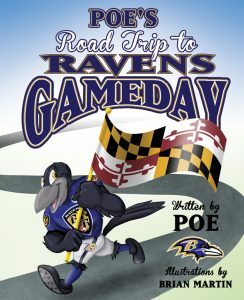 Poe’s Road Trip to Raven’s Gameday by Poe Join Poe, the Baltimore Ravens mascot, as he makes his way around Maryland the week before the big game! Poe visits many places, like Maryland’s capital, the beach, and even the zoo, before ending up on RavensWalk on gameday. Get ready to cheer on the Ravens with Poe and find out if they win their big game!